The stage is set for the Freediving New Zealand Depth Nationals being held this Thursday 15th March to Saturday 18th March. The competition, which will be held over three days, will include all AIDA depth competition disciplines – Constant Weight (CWT), Constant Weight No Fins (CNF) and Free Immersion (FIM). Each day will be made of three sessions, where competitors will nominate their discipline and make their dive. Disciplines may be repeated however only their best result in each discipline will go towards their final ranking. Lake Taupo, where the competition will be held, is a 186m deep caldera in the middle of the North Island of New Zealand. Visibility is generally around 15 metres and the water temperature is usually around 19 degrees – but thermoclines do come into play. PADI are thrilled to be a teaming up with Freediving New Zealand as a sponsor of the Freediving New Zealand Depth Nationals 2018. “Freediving is an exhilarating sport but there are inherent risks involved. As such, training and technique play such an important role. Stay up to date with the latest by visiting the Freediving New Zealand Facebook Page and check out the PADI Instagram channel over the course of the weekend for updates from Lake Taupo. Want to become a PADI Freediver Centre? Speak to your Regional Manager Today. If you’re interested in becoming a PADI Freediver Centre, please speak with your Regional Manager. We’re thrilled to welcome Myoungho Noh to the PADI AmbassaDiver family! Not only is he a PADI Course Director but he was also the first PADI Freediver Instructor Trainer from Korea. We got to know him a little better and learnt about some of his favourite freediving moments and what it means to him to be a PADI AmbassaDiver. Ever since I was young, I’ve loved water activities – swimming, scuba diving – you name it, I tried it. It was scuba diving that first really increased my appreciation and enjoyment of the ocean. It allowed me to explore deeper and stay there for longer. In Korea, the ocean is not far from my home, so I’d visit every chance I got. Unfortunately, I wasn’t always able to scuba dive, but this opened freediving up to me and has since changed my life. These days, I am teaching freediving and trying to promote freediving all over the world. Tell us about some of your favourite freediving moments. I love the feeling of freedom that comes with freediving. Particularly when I’m diving by way of free immersion. I can relax my whole body, and slowly enter the deep. While moving down the line, I close my eyes and feel the water against my dace. At that point, I feel like I’m one with the water! I also love observing aquatic animals – I remember one moment when I was diving with a huge whale shark. I knew the whale shark wouldn’t attack me however the sheer size of it was mesmerizing. It was such a unique experience that I’ll remember for the rest of my life. It was PADI that has led me to diving professionally and has opened up completely new worlds to me. 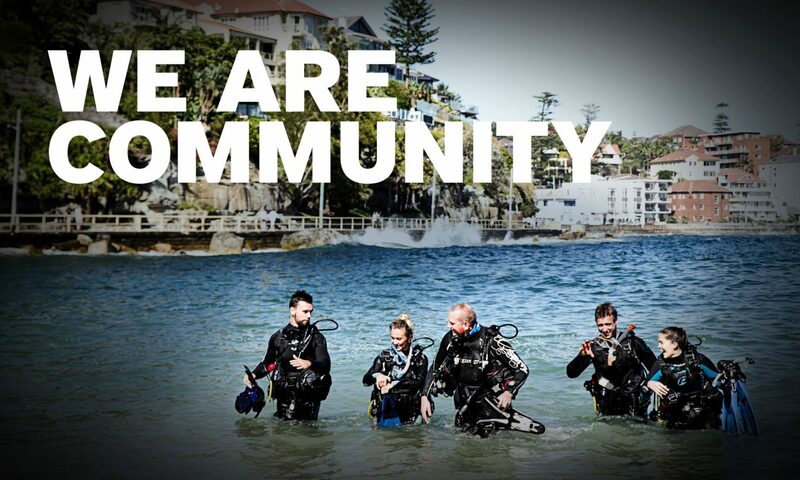 I feel a sense of pride when I’m teaching PADI courses and even more so to be a PADI AmbassaDiver. Why do you want to introduce more people to Freediving? I believe that freediving is easy for anyone to learn and that the experience is one-of-a-kind. The joy that can be experienced through it is endless. With that said, it’s important that people learn safe practices and by teaching the PADI Freediver course I can help make sure people learn the proper and safe techniques. Learn more about the PADI Freediver program here or learn more about our other AmbassaDivers. Freediver demonstrates Static With Fins discipline. This weekend, the Splash Freediving New Zealand Pool Nationals 2017 will be held in Auckland. PADI are proud to be a sponsor of the event and to support the growth of freediving not only in New Zealand but around the world. The growth of the competition in recent years mirrors the growth of the sport, and this year will again see a high calibre of athletes competing. Amongst the competitors will be the current New Zealand National Champion and Pan Pacific Champion Kathryn Nevatt and Danish National DYN Champion, Anette Rafen Otzen. “Freediving is one of the fastest growing water sports,” says Jen Clent, Regional Manager, PADI Asia Pacific. You can stay up-to-date on the competition by following PADI on Facebook or Instagram. We will be going live to share with you exclusive interviews and highlights over the three days. For more competition info, visit the website here. You can also read more about the PADI Freediver Program here. Freediving is one of the fastest growing dive industry segments and PADI Freediver courses provide members with new revenue-generating opportunities and offer a pipeline for capturing younger customers. To help seat the program, there are global instructor training courses along with efficient crossover programs for freediving instructors from other training organisations. PADI is promoting the Freediver program through athletic endorsements and event sponsorships. Additionally, promotions tap into the adventure travel market to drive awareness and conversion. You should target your marketing efforts toward similar audiences. PADI Retail and Resort Association Members should also check with their PADI Regional Headquarters for additional PADI Freediver promotional item availability.